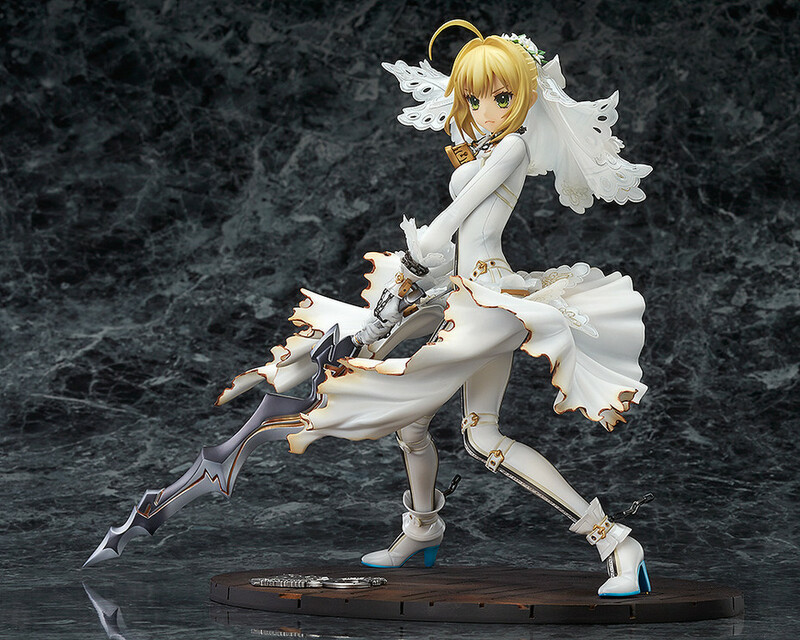 From the popular game 'Fate/EXTRA CCC' comes a 1/7th scale figure of Saber Bride - Saber wearing the 'Bridal Gown of Restraint'. 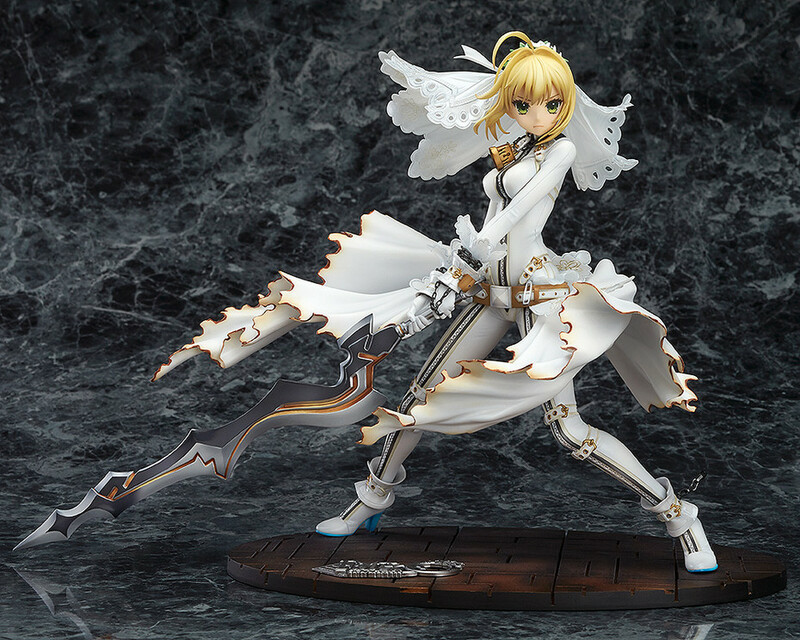 She is posed with Aestus Estus in hand, ready to confront her enemies in battle while still showing off her curvaceous figure. 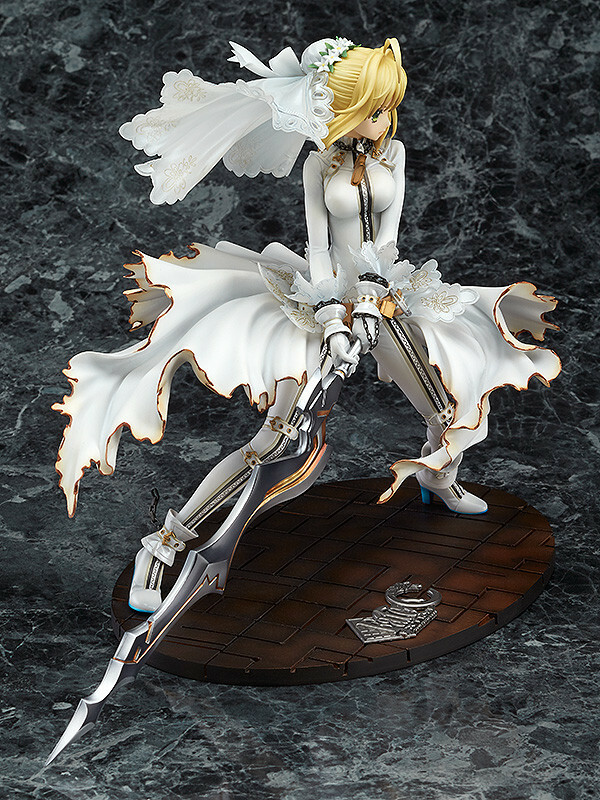 The sculpt is filled with all sorts of highlights such as the resolute facial expression, the skirt fluttering in the wind around her and the tight wedding outfit that shows off her beautiful curves. 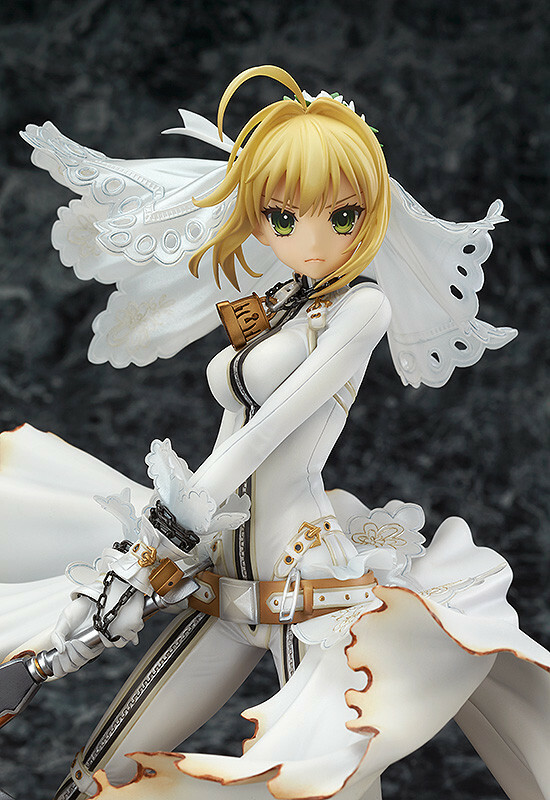 The intricate details on the outfits accessories and paintwork also all come together to create a figure overflowing with Saber's beauty for fans to enjoy in their collection. 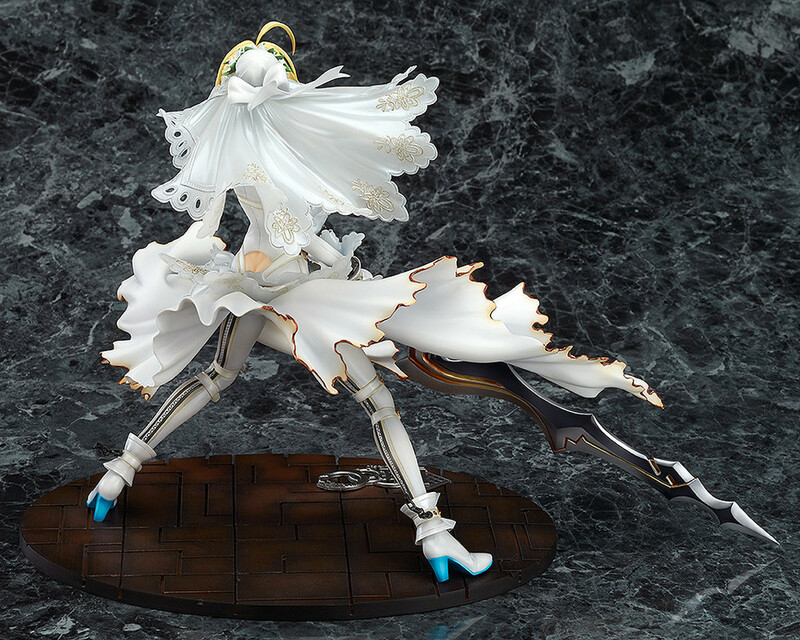 ▼ View the Special Page Featuring an Interview with the Sculptor and a Rotatable Viewer! 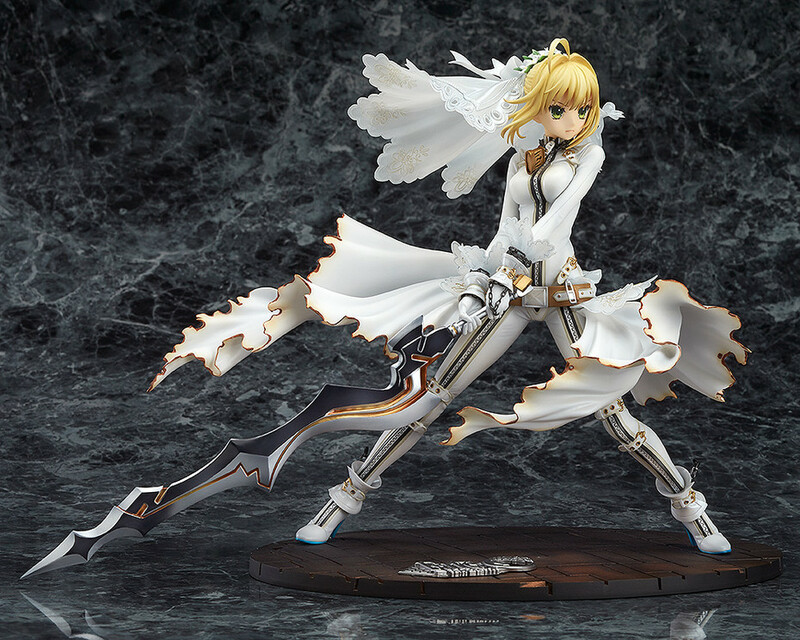 Preorders will be open from 27th October 2015 (Tue) from 12:00JST until 25th November 2015 (Wed) at 21:00JST.